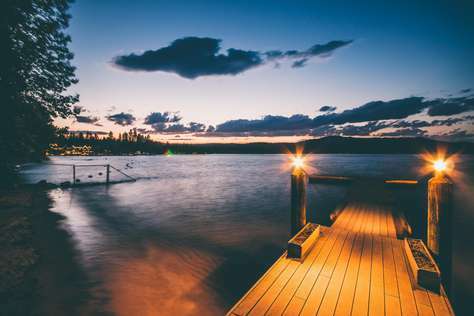 Spring Special - Only $1150/week and $195/night for the best views in McCall!!! Come enjoy a beautiful shared beach and dock with this lovely house located next to Rotary Park, Shore Lodge and Lardos restaurant. 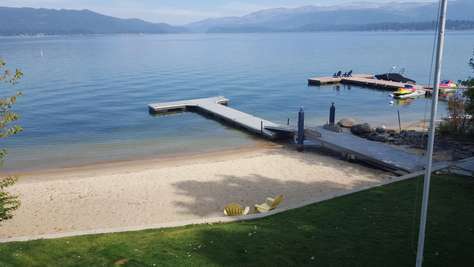 Only the neighboring house shares the beach and dock, and it is available as a rental as well. Take in the views from the lower and upper decks or enjoy the view from the kitchen, dining and living rooms. With a downstairs den in addition to the living room, there is plenty of room for larger groups to spread out and enjoy. 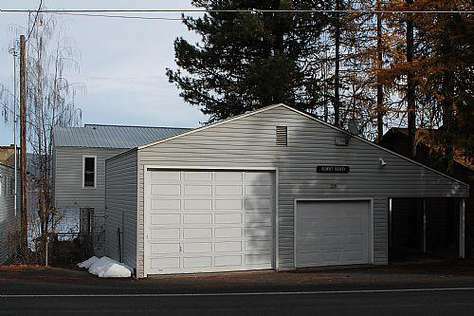 This home is great for snowmobilers as well. There is ample parking for trailers and garage space for smaller trailers or trucks. If your group is larger than 11, rent the lakefront home, Annie's Place, next door as well! 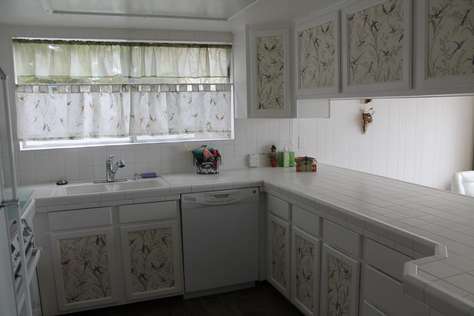 The two homes rented together sleep up to 20 with 2 kitchens! If there is a time frame between rentals that is 7 or less days, please contact us to facilitate the booking. The cleaning fee for this home is $150. This property has 2 Queen(s), 5 Twin(s), 1 Bunk(s). CANCELLATION POLICY: Cancellation prior to 45 days of arrival is entitled to a full refund of deposit. Between 30-45 days of arrival will forfeit the one night deposit. Cancellations made within 30 days of arrival will forfeit a minimum one night penalty up to a maximum amount of whole reservation depending on resale of the unit. Lakefront properties require at least 60 days notice prior to stay for a cancellation.Mandatory fields. Property owner please insert your cancellation policy here! DEPOSIT POLICY: A $250 refundable deposit due at time of booking. Final balance is due 30 days prior to arrival. We accept Visa, MasterCard, Discover, American Express and cashier’s checks. No cash or personal checks are accepted for deposit.Mandatory fields. Property owner please insert your deposit policy here!